The CCP program at Belmont College is designed to provide college experience for qualified students in grades 7 through 12. Students will earn both college credit and high school credit with each successfully completed course. CCP will allow students to expand their opportunities, discover new interests, and broaden their vision. Students can take up to 30 credit hours a school year. One college class, with three or more college credits, will equal one Carnegie Unit. This is usually equal to one whole year of a high school class. The student has the option of taking college credits summer, fall, and spring terms. Courses taken in the summer term will count toward the coming high school year. Each college class and the corresponding grade is documented on both high school and college transcripts. Students can take up 120 credit hours while in the CCP program. With this many available credits it is possible for a student to graduate from high school and from Belmont College with an Associate’s Degree at the same time. Satisfy high school graduation requirements! 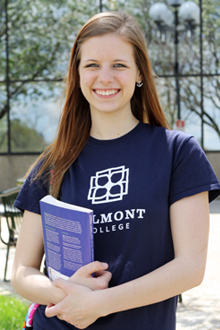 Work toward an Associate’s Degree from Belmont College! Start on a Bachelor’s Degree early! Transfer degrees are designed to give students the first two years of a Bachelor’s Degree, i.e. Associate of Arts and Associate of Science. Take selected classes that transfer! CCP courses can transfer to four-year colleges and universities. Explore various careers that interest. The flexible scheduling allows students the ability to enjoy school activities that fit around college classes. January/February/March – Test for college readiness. Belmont College will accept ACCUPLACER, SAT, or ACT scores. January/February – High schools notify students and parents about the CCP program. March – Students notify their school regarding enrolling at Belmont College. April 1 – Last date to notify your school that you are interested in the CCP program. April 1- Deadline to notify College CCP Advisor of registration for summer term. May – Summer semester begins at Belmont College. June 1– Deadline to notify College CCP advisor of registration for fall term. August – Fall semester begins at Belmont College. Dec 1 – Deadline to notify College CCP advisor of registration for spring term. January – Spring semester begins at Belmont College. For more information, please see your high school counselor for requirements and application materials or contact our CCP Advisor at 740.699.3812. High schools in our area offer Belmont College courses on their high school campus.